I realized in 2009 that the 100th anniversary of the adoption of the 1911 pistol by the military would be celebrated in 2011. I felt that Cylinder & Slide should offer a very special 1991 pistol to commemorate the 100th anniversary of one of John Browning’s greatest firearms. 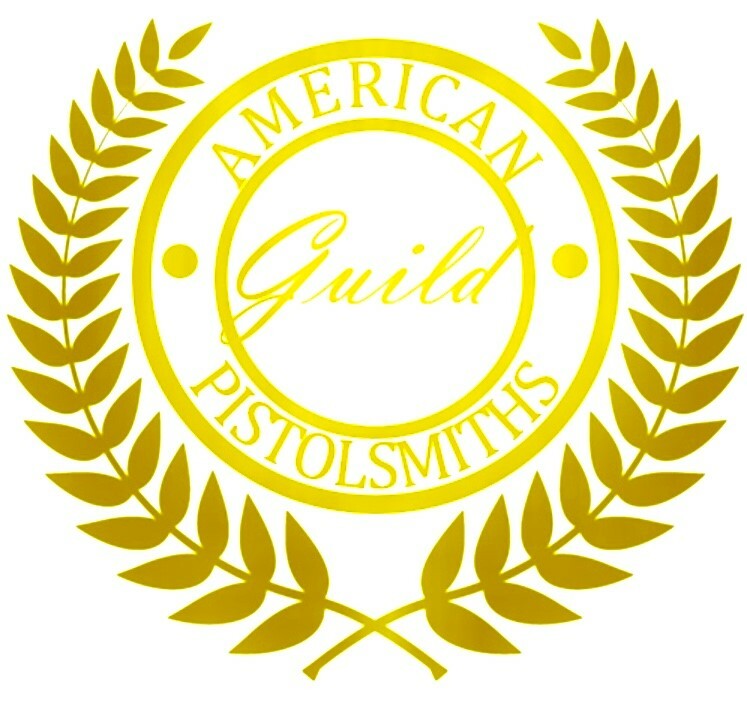 I began to check with the commercial firearms companies and the custom builders to see what type of commemorative 1911 pistol they were thinking to about offering. I quickly realized that all of them were going to offer one of their current production 1911 autos with some type of roll marking denoting that it is an anniversary model. 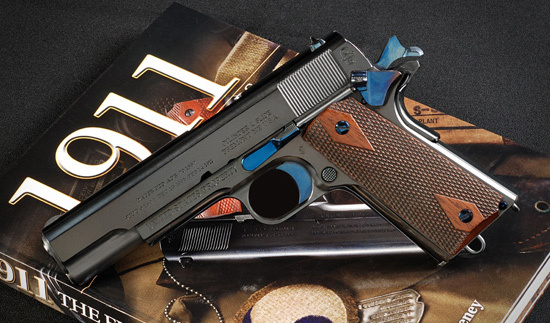 I got to thinking that I should see if I could build an exact recreation of the original 1911 pistol that colt delivered to the military in the very 1st shipment. Little did I know that this endeavor would consume me for the next two years! I started my research using several of the most noted books on the history and changes of the 1911. it quickly became evident that I would have to recreate 19 parts that had been changed over the years as the 1911 evolved. I also embarked to find as many early 1911 pistols as I could so that I could examine them and their internal parts so that I could make correct copies. I have been very fortunate to have been allowed to dissemble and examine 6 pre #500 serial numbered military 1911 pistols. Each pistol did not have all of the original parts but between all 6 of them I did get to examine all of the original parts. I was also a very lucky to have found copies of the original 1914 Springfield Armory blue prints. The Springfield Armory actually drew the 1st complete set of prints for the 1911 pistol. Springfield Armory did make some changes to the pistol that Colt had originally shipped to the military when the Springfield Armory started to manufacture them in 1914 By comparing prints that I have are actually marked as obsolete and they are dated in the identification block as 1914. By comparing the 6 pre #500 serial number colts to the Springfield prints I identified that areas that Springfield changed. I had the prints redrawn to reflect the Colt dimensions so that I had a working set of prints that duplicated the early Colt 1911 Pistols. The pistol that I produced is as close to the original 1911 that Colt delivered to the military that can be done. We polish our 1911 anniversary pistols to 600 grit which replicates the polish done on the originals. The hand polishing is actually done by hand on a surface plate with progressively finer grits instead of using an electric buffer. 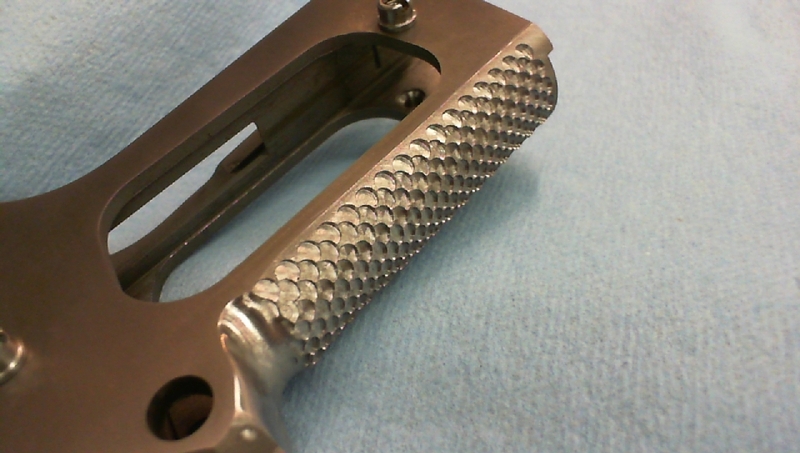 This type of polishing keep the edges and corners sharp and clean with no washed out holes. The hand polishing take a minimum of 20 hours for each pistol. I will build 100 of these pistols within the special serial number ranges. The assures you that your pistol will truly be an extremely limited edition. They are 3 different slide markings available, Model 1991 US Army, Model 1911 US Navy, and Model 1911 USMC. I will be the first to tell you that the Marine Corps did not have their pistols marked USMC. They purchased 1911 pistols marked Army or navy. The serial number ranges for each of the services represent that 1st block of serial numbers actually delivered to each respective services represent the 1st block of serial numbers actually delivered to each respective service. The serial numbers are followed by an A for Army, and N for the Navy and an M for marine Crops. The Bureau of Alcohol Firearms and Tobacco required that I add the letter after the number to make the serial number exclusive. Click here to send me your information and have your name added to the list of people interested. There is also a comment section you may add your suggestions, thoughts and comments. Your input is greatly appreciated.